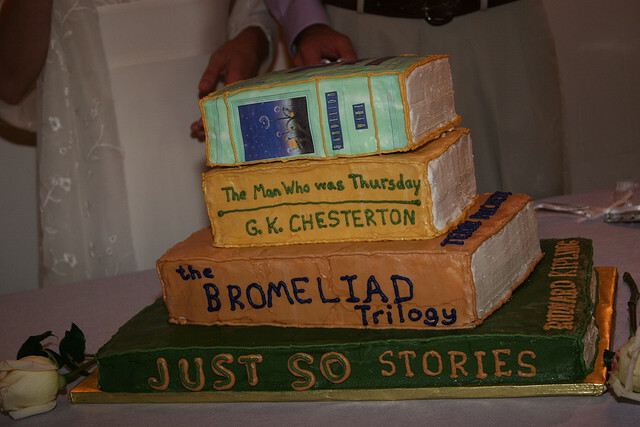 This is an adorable wedding cake for a couple who loves literature. I also love how it’s personal to the bride and groom. I think personal touches are what make a wedding truly special. * This from the girl who has probably written the word “amazeballs!” on her twitter account more than one hundred times. Wow!! thats the first wedding cake made in to books that I have seen.